Connect your computer to the WIFI access point of ESP8266. Open webrepl.html using Chrome or Firefox browser and connect to WebREPL. 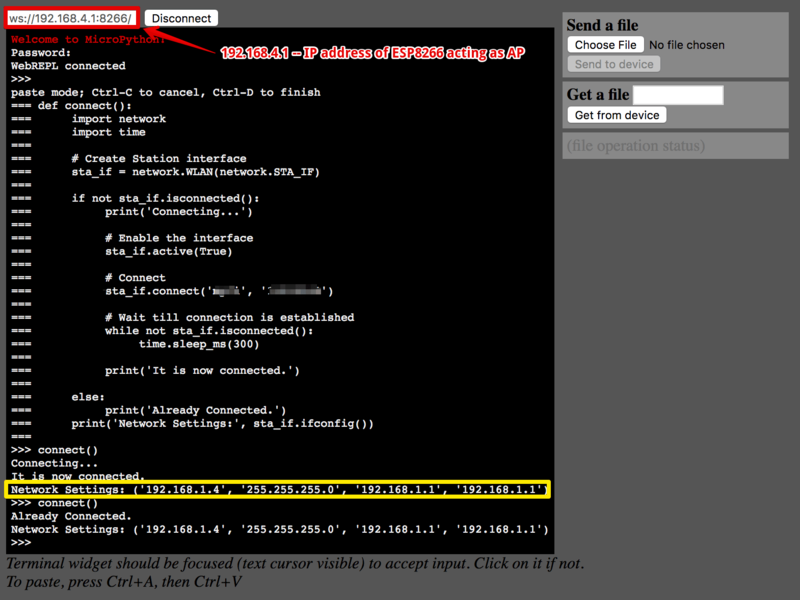 Import network module and create a station interface using WLAN class. Activate the STA_IF (Station / WIFI client) interface. Connect to the desired wireless network, using corresponding SSID and password. In my case '192.168.1.4' is the IP address of my ESP8266 WIFI client connected to my home network. For better coding practice, we'll wrap all the above code statements in a function (e.g. connect) and call the same function whenever we need to connect to that WIFI router. If you have multiple WIFI access points, you can make the above function parameterized and pass SSID & password value while making the call. 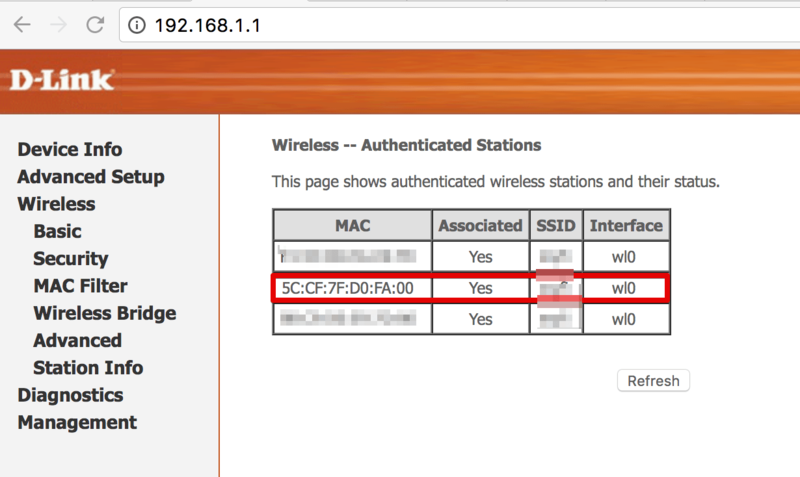 Login to the wireless router admin and verify whether ESP8266 is connected to the router or not. If the WIFI router is connected to Internet, then try to make a HTTP call. We'll get a JSON data over Internet. It would be nice, if we can do something so that ESP8266 connects to the WIFI netwrok automatically after booting, instead of connecting it manually every time. Let?s make that happen. Connect with ESP8266 using WebREPL. Download boot.py file from ESP8266. Upload the modified boot.py to ESP8266. To verify, you can reiterate steps 4b and 4c.